For US President Donald Trump, the measure of a country’s economic strength is its current account balance – its exports of goods and services minus its imports. This idea is, of course, the worst kind of economic nonsense. It underpins the doctrine known as mercantilism, which comprises a hoary set of beliefs discredited more than two centuries ago. Mercantilism suggests, among other things, that Germany is the world’s strongest economy, because it has the largest current account surplus. In 2016, Germany ran a current account surplus of roughly $297bn, or 8.6 percent of GDP, making it an obvious target of Trump’s ire. And its bilateral trade surplus of $65bn with the US presumably makes it an even more irresistible target. Never mind that, as a member of the eurozone, Germany has no exchange rate to manipulate. Forget that Germany is relatively open to US exports, or that its policymakers are subject to the EU’s anti-subsidy regulations. Ignore the fact that bilateral balances are irrelevant for welfare when countries run surpluses with some trade partners and deficits with others. All that matters for Trump is that he has his scapegoat. Back in the real world, the explanation for Germany’s external surplus is not that it manipulates its currency or discriminates against imports, but that it saves more than it invests. The correspondence of savings minus investment with exports minus imports is not an economic theory; it’s an accounting identity. Germans collectively spend less than they produce, and the difference necessarily shows up as net exports. Germany has a high savings rate for good reason. Its population is ageing more rapidly than most. Its sensible people are sensibly saving for retirement. They are accumulating assets now so they can de-accumulate them later, when old-age dependency ratios are higher. This is why the advice German leaders receive from White House advisors and even from some German economists – that Germany would be better off abandoning the euro and letting its currency appreciate – makes little sense. Changing the exchange rate would not diminish the incentive for Germans to save. Moreover, allowing the exchange rate to appreciate would discourage investment in capital-intensive traded-goods sectors. To be sure, a stronger currency might increase investment in services by raising the relative price of non-traded goods. But the incentive to invest in services would have to be boosted massively, given that the sector is not capital intensive, to offset lower investment in export industries. Better than fiddling with the currency would be to address saving and investment directly. Here is where the two principal parties vying in Germany’s upcoming election differ. Chancellor Angela Merkel’s Christian Democrats suggest cutting taxes. This makes sense insofar as the German Government is a massive net saver; the 2016 budget surplus was $26.7bn, a record high. The problem is that there is no guarantee that German households, being voracious savers themselves, will spend the additional income. Extending investment tax credits to German firms might be more effective in boosting spending, but doing so would be politically problematic in a country where labour’s share of national income is already declining. Martin Schulz’s Social Democrats, on the other hand, favour raising public spending, by investing in infrastructure in particular. In the current European environment of near-zero interest rates, there’s little risk that additional public investment will crowd out private investment. And Germany has massive unmet needs in healthcare, education, and communication and transportation infrastructure. Some will object that infrastructure and public services are non-traded goods, so more spending on them won’t boost imports or narrow the current account balance. But if the government, in a fully employed economy, redirects resources toward the production of non-traded goods, households and firms will have to find other ways of satisfying their demand for tradables. The only sure way of doing that is by purchasing additional imports, spending on which will inevitably increase. The question, ultimately, is why Germany should seek to reduce its current account surplus. One answer is to get out of Trump’s sights. A better answer, offered by the International Monetary Fund, is that doing so would be good for a world economy in which investment is in short supply, as evidenced by record low interest rates. It would be good for southern Europe, which needs to export more, but can only do so if someone else, like the largest northern European economy, imports more. Most of all, more investment in infrastructure, health and education would be good for Germany itself. 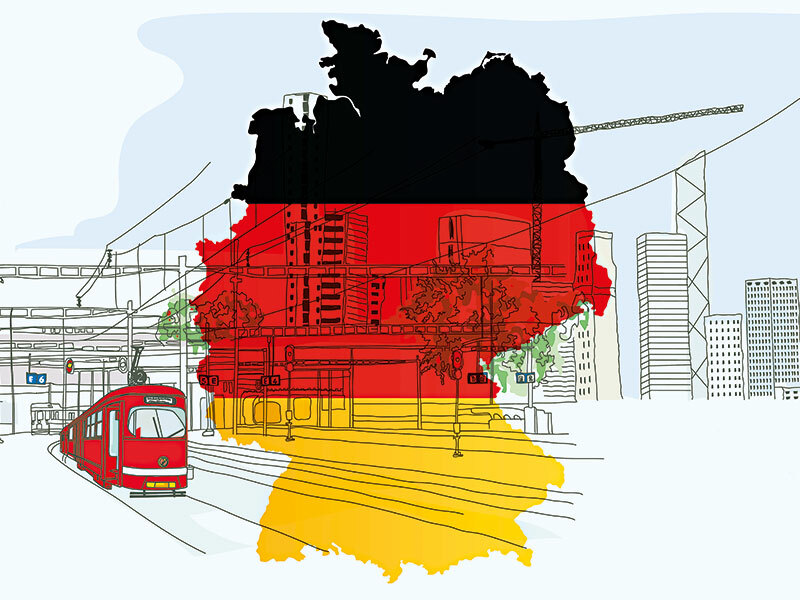 Well-targeted public investment can raise productivity and boost living standards, ameliorate concerns about inequality, and address Germany’s economic weaknesses. For example, there are exactly zero German universities in the top 50 globally. More public funds would make a difference. ‘The world’s strongest economy’ can do better.